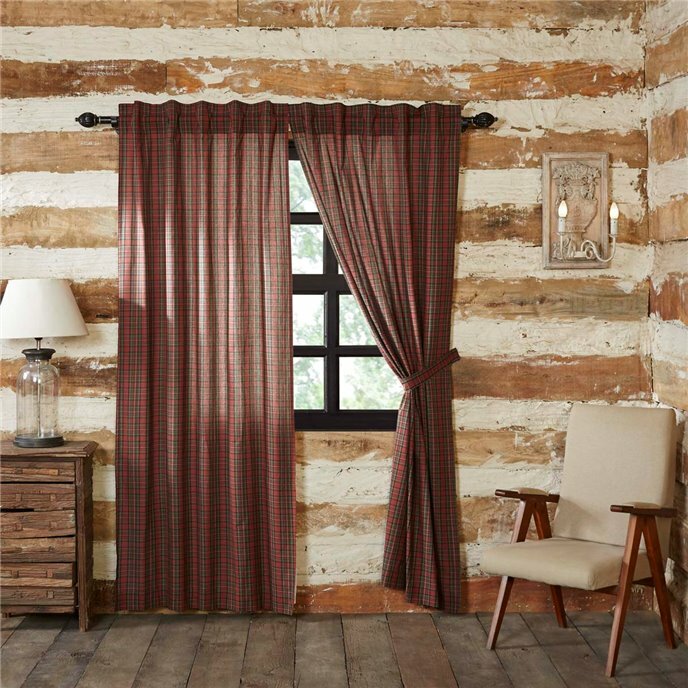 Tartan Red Plaid Panel set of 2 is a large-scale plaid of brick red and forest green mixed with accent lines of gold and black for country rustic flair. Lined with white cotton. 100% cotton. Set includes 2 panels, each 84" long including the 2" header by 40" wide. Features a 3.25" rod pocket. Includes 2 matching tie-backs. Machine wash, gentle. Tumble dry low. This item is imported. Please note, colors may appear differently in different resolutions and on different computers. Manufacturer's UPC code is 840528158889.